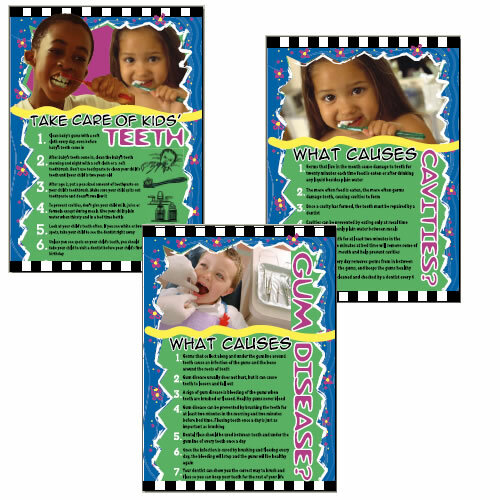 Set of three oral health education posters available for $10.00 plus $3.50 for shipping and handling. Each poster is three feet long by two feet wide. The set includes “What Causes Cavities?” “What Causes Gum Disease” and “Take Care of Kids’ Teeth”. The posters are available in English or Spanish. Please complete the order form located here and mail to the address on the form along with payment. Sorry, we do not accept credit card or online orders.